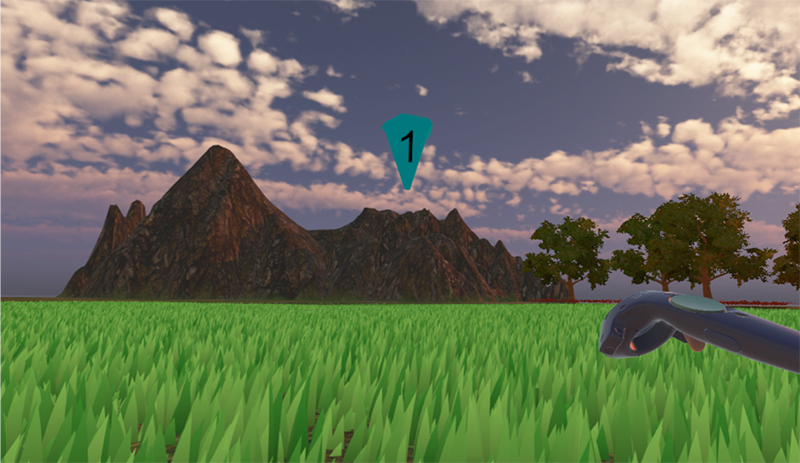 Home » Could Virtual Reality help detect the earliest stages of Alzheimer’s disease? Researchers at the University of Cambridge, supported by the NIHR Cambridge Biomedical Research Centre (BRC), have begun a large-scale study to see if virtual reality (VR) headsets can help spot Alzheimer’s Disease years or even decades before the onset of symptoms. The three-year project – led by Dr Dennis Chan at the University with joint funding from the Alzheimer’s Society, Merck and NIHR Cambridge BRC – will scale up earlier research in which Dr Chan’s team showed that a VR test of spatial navigation was more effective at identifying patients with mild cognitive impairment (MCI) due to Alzheimer’s disease (AD) than gold standard tests of memory and thinking currently used in clinic and research studies. Now Dr Chan’s team would like to see if this test can detect AD in even earlier stages, before the onset of cognitive impairment. 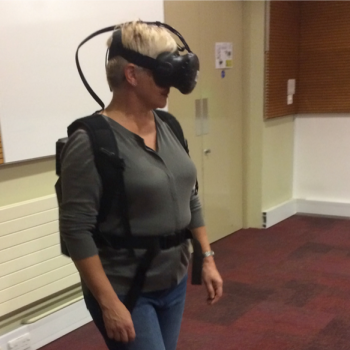 In this latest study, researchers will ask 300 volunteers aged between 40 and 60, without any memory impairment, to take part in the VR study. 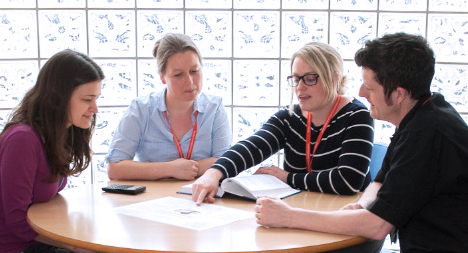 The volunteers have already enrolled into the PREVENT dementia programme, and have differing risks of developing AD depending on whether they have a gene that puts them at risk of AD or if they have a family history of AD. Dr Chan’s prediction is that those at higher risk of future AD will perform less well on the VR navigation task. Coco Newton, a PhD student on Dr Chan’s team, said: “Alzheimer’s disease is notoriously hard to detect in the early stages, when it is known as ‘preclinical’ AD. But if we can show that a VR-based navigation test is more accurate than traditional memory tests in diagnosing the preclinical disease, then that opens up lots of exciting opportunities. “Not least it will allow people to determine whether treatments are more effective if they are started earlier and if this can delay the onset of dementia. The headset used in the study will be familiar to computer gamers. It’s a tiny area of the brain, but scientists believe that the entorhinal cortex within the temporal lobe (which is involved in navigation) is the first to be affected by AD. But by the time the patient has developed symptoms such as memory problems, years or decades after the disease process has started, a substantial proportion of brain cells will already have degenerated. What Dr Chan and his team want to find out is whether changes to the entorhinal cortex can be detected in people at risk of developing dementia using VR and other cutting-edge technology including bespoke apps and augmented reality. People at risk of AD and healthy volunteers will be selected to take part in all the tests, including the VR navigation test. Some participants will also undergo state-of-the-art brain scanning with ultra high resolution 7T MRI and tau-PET scanning which can detect the molecules associated with AD pathology.